The Lazy Baker sent us a cookie mix to try. Just how lazy of a baker am I? Well, it took me a good 2-3 months to get around to making the cookies. It’s not that I was lazy, but that I was waiting for an occasion to make them. Actually, our ambitions were quite high initially…we were going to do a cookie bake-off between the Lazy Baker cookies and cookies from scratch. But, alas, time got away from us. Finally, coworkers were throwing me baby shower, so I decided to make the cookies. The batter was very dry, which is not what I was expecting and the reason I thought they weren’t going to come out right. But very little liquid actually goes into the mix…just 1 egg and 1 teaspoon of vanilla. 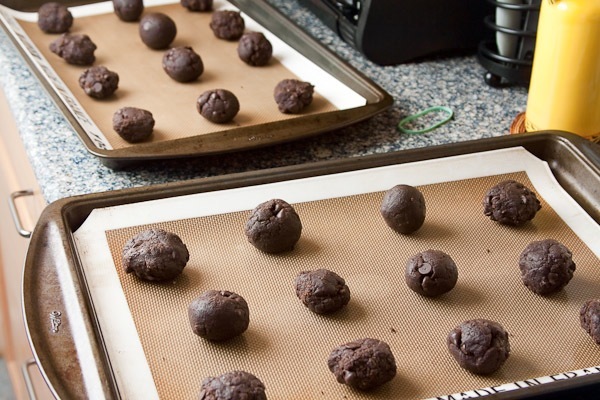 As you can see, we tried two different methods of placing the cookies on the cookie sheet…smooth balls and messy clumps. It made no real difference in the outcome of cookies. So, what was the verdict from the baby shower? Thumbs up on taste…they all got eaten! I didn’t tell anyone the near cookie disaster. Personally, I thought the cookies tasted a little gritty, but no one at the shower seemed to notice, or they didn’t say anything. The Lazy Baker saves you a little bit of time because you don’t have to mix the dry ingredients, but it still takes time to mix it all together. Is it worth it? Maybe for some people. 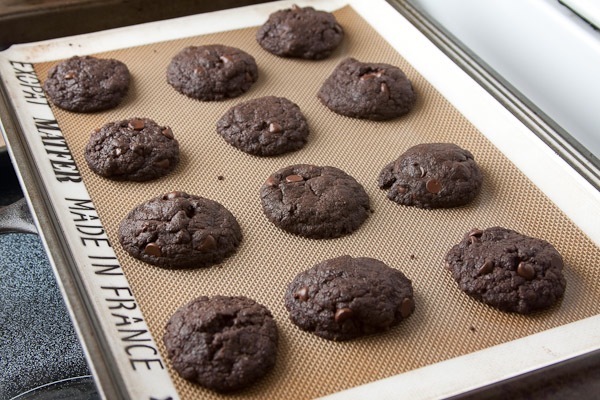 If you have all the dry ingredients on hand in your pantry, you may just want to make cookies from scratch. 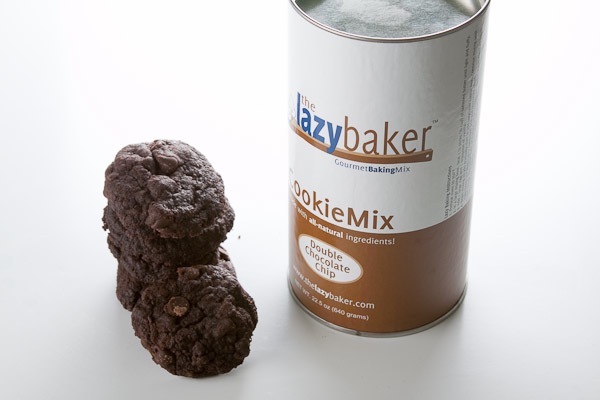 But if not, the Lazy Baker may be the answer to your cookie cravings.